If you still haven’t received your yearly vaccination, Immunization Awareness Month is here to remind you that it’s about time you go to your doctor for it. In August of each year, we are encouraged to keep ourselves up-to-date with the latest shots to make sure that we remain immune to certain diseases. Kids should take a series of vaccinations from birth until they reach 6 years old. Pre-teens are recommended to take shots at age 11 or 12. Adults need a tetanus booster shot every 10 years. Adults over 49 are required to have vaccinations for pneumonia and flu. For detailed information on immunization schedule and vaccine-preventable diseases, visit this website. 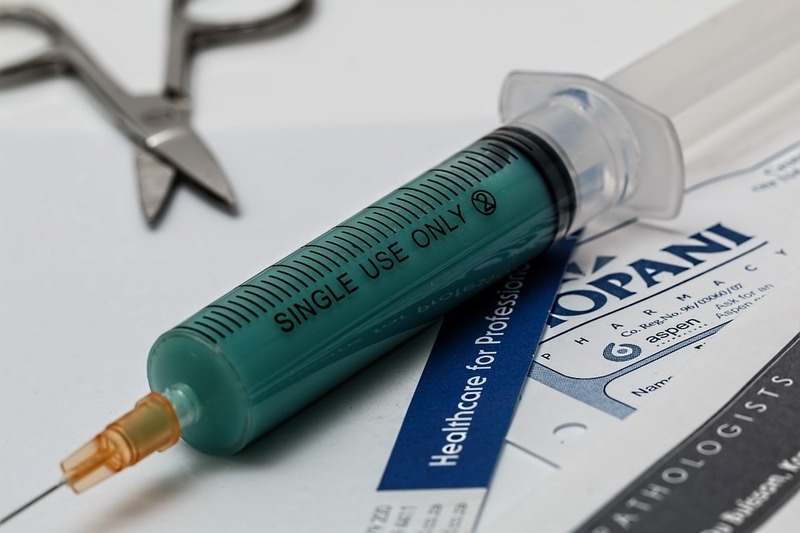 If your fear of needles is stopping you from getting immunized, bear in mind that the pain only lasts for a few seconds. That’s way much better than having to suffer tremendously from infectious diseases such as hepatitis, measles, influenza, pneumonia, and cancer. Plus, you don’t want to spend hundreds of thousands of dollars for treating an infection that’s already spread throughout your body. Always remember that prevention is better than cure. Tell your family and friends that shots aren’t only for kids or babies. Many have the assumption that keeping themselves vaccinated is no longer necessary since they had already been vaccinated when they were still children. However, medical authorities say that people of all ages need vaccinations for protection. Convince your neighbors and community members to get the annual flu vaccination. Whether it’s by handing out leaflets or posting on social media, let them know that their health should be a priority. Organize a community event so that more people would learn the importance of vaccinations. Invite a doctor, nurse, or medical practitioner to be the speaker. If you happen to publish newsletters, you may inform your readers about the need for immunization. Feel free to include any of these details. Tweet about Immunization Awareness Month. Social media platforms are really effective when it comes to spreading the word. Here are some tweets that’ll get your followers vaccine-ready. Raising awareness on the importance of immunization helps save thousands of lives. Start being a hero in your community now! Getting yourself immunized can be very costly, especially when you’re not covered by health insurance. Without a doubt, poor people are more prone to certain types of diseases due to their lack of financial resources for the medical procedure. However, you can help put an end to this through the simple act of vehicle donation. Unemployment has been a nagging issue in our country for many years. Countless disabled and other disadvantaged individuals can’t find decent jobs and have been idle for years. Many of these individuals have fallen deep into poverty together with their families. It gets worse when they fall ill since they lack the money to pay for their treatment. This is the reason why we at Goodwill Car Donations are here. Our mission is to provide a better future for these struggling men and women. When you donate an old car or truck to us, we turn it into a fund-generating tool to provide various services to these individuals. Our nonprofit Goodwill organizations in various parts of the country equip them with the right skills and knowledge needed to turn their lives around so that they will become self-sufficient and productive members of society. The services we provide in various communities include disability benefits support, skills training, job training and placement, financial management training, youth education and employment, and career counseling. Making a vehicle donation to us at Goodwill Car Donations is fast, simple, convenient, and one that gives you a truly rewarding experience. You get rid of an unwanted car, help save countless lives from poverty, and you even get tax deductions and free towing services as parts of your rewards! To know more about Goodwill Car Donations and our donations process, feel free to call our toll-free 24/7 hotline 866-233-8586. You can also visit our FAQ’s page or contact and send us a message online. You can make your car donation by filling out our online donation form or calling us. Give us a call now at 866-233-8586! This Immunization Awareness Month, let’s work together to “immunize” our disadvantaged fellow citizens from poverty and keep them healthy and productive for the good of all.